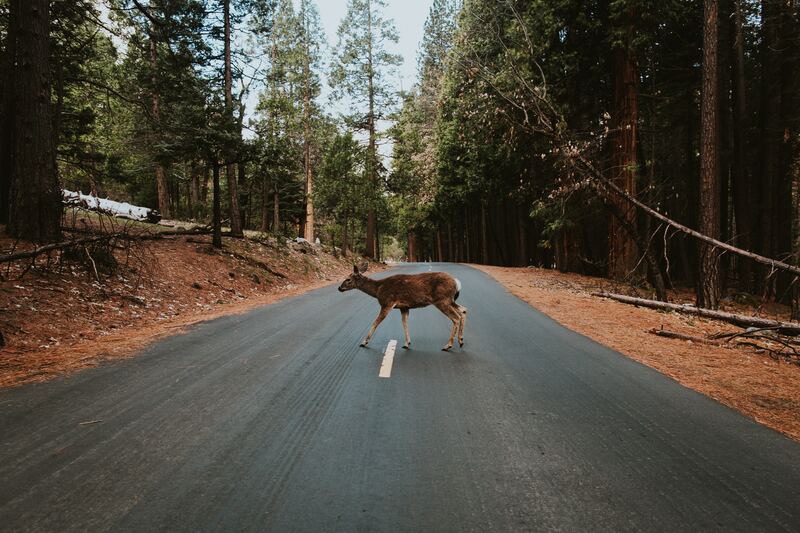 One of the most common reasons that customers come to us at Chaney’s Collision Centers is not because they have been in an accident with another car, but because they have hit a wild animal when driving. Wild animals, particularly deer, can cause significant damage to your vehicle. Some can even total your car. As such, it pays to know how to avoid hitting animals when driving and therefore how to avoid the subsequent collision repair that comes with it. The first way to avoid hitting animals is to take note of when you are driving. You are much more likely to hit an animal very early in the morning or at dusk and nightfall. If you can, avoid driving at these times. If you can’t avoid driving at these times then take care extra care when driving and pay special attention to the side of the roads for signs of movement. If you do see an animal take note of it but don’t slow down. This can cause bigger accidents if the car behind goes into the back of you. Remember that most animals are pack animals and that there is a high chance that more will be hiding in the buses that you can’t see. If an animal runs out in front of you try not to swerve. Many accidents with animals occur not because the driver hit the animal, but because the driver swerved and either went into oncoming traffic or went off the side of the road. In many cases, animals will get out the way quicker than you think and swerving will only make it worse. If you see animals by the side of the road that have not yet walked into the road, you can try honking your horn to scare them off. Some people recommend it but there is no proof that this will always work. And what if you do hit an animal? The good news is that damage caused by animals is covered by most auto insurance policies, especially if you have comprehensive coverage. If the animal is large, you should probably stay at the scene and contact the police. This can also help make sure that your insurer accepts your claim. As always, don’t forget to take pictures for proof! Because of the extent of the damage that animals can cause, you’ll probably want to take your car to a collision repair center quickly. Try to find one that has experience dealing with damage caused by animals and always ask if you aren’t sure. If you’ve hit an animal when driving and need the help of an expert auto body shop, give Chaney’s Collision Centers a call today. We know how devastating it can be to hit an animal and can work hard to get your car back to its pre-crash condition as quickly as possible. Give us a call today on (623) 915-2886 or get in touch using our online contact form.